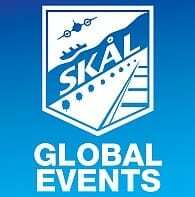 Skål International is an UNWTO Affiliate Member since 1984. The World Tourism Organization (UNWTO) is the United Nations agency responsible for the promotion of responsible, sustainable and universally accessible tourism. MOU between Skål International and the UNWTO signed on 21 July 2014. MOU between Skål International and the United Nations Environment Programme (UNEP) signed on 7 February 2009. The UNEP is the leading global environmental authority that sets the global environmental agenda, promotes the coherent implementation of the environmental dimension of sustainable development within the United Nations system and serves as an authoritative advocate for the global environment. Skål International has signed and adopted the UNWTO Global Code of Ethics in Tourism on 29 September 2015 which is a comprehensive set of principles designed to guide key-players in tourism development. Skål International is a supporter of the UNWTO ST-EP (Sustainable Tourism-Eliminating Poverty) Initiative launched in 2002. Cooperation with the International Institute for Peace through Tourism (IIPT) since 1994. The IIPT is a not for profit organization dedicated to fostering and facilitating tourism initiatives which contribute to international understanding and cooperation, an improved quality of environment, the preservation of heritage, and through these initiatives, helping to bring about a peaceful and sustainable world. Skål International and IIPT, each recognizing that tourism can be a vital force in nurturing a peaceful world, have come together as partners for a series of projects the first and foremost of which is the IIPT/ Skål Peace Cities, Towns and Villages project launched in 2013 with the aim of promoting peace from the village, town and city on up to the nation state. Skål International is a supporter of ECPAT International since 2005. ECPAT is a global network dedicated to protecting children. Skål International is a supporter of the International Coalition of Tourism Partners (ICTP) since 2013, a grassroots travel & tourism coalition of destinations and stakeholders. MOU between Skål International and Sustainable Travel International (STI) signed on 26 March 2015. As part of the MOU Skål International has endorsed 10 MILLION BETTER, a new campaign aimed at protecting the resources on which travel and tourism depends.